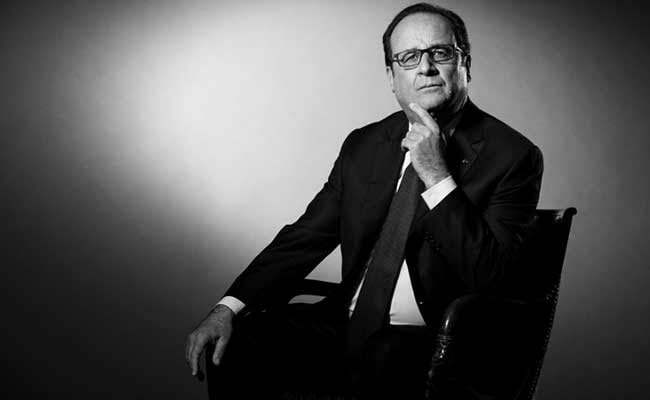 Francois Hollande's presidency was marred with controversies. Paris: When Francois Hollande tapped Emmanuel Macron as an aide in his 2012 presidential campaign, little did he know that he was taking advice from his eventual successor. At 62, Hollande leaves office on Sunday as one of France's least popular leaders after becoming the embodiment of his country's social and economic paralysis. Hollande had an easy touch with the public but quickly acquired a reputation for being wishy-washy, with detractors nicknaming him Flanby after a French brand of wobbly pudding. But Hollande's term got off to an inauspicious start as rain drenched his inaugural parade and he flew into a thunderstorm on his maiden foreign trip, to Berlin. Hollande brought in economic liberal Manuel Valls as prime minister in March 2014 -- and a certain Emmanuel Macron as economy minister that August. Hollande's paralysis as president combined with revelations over his amorous peccadillos -- he was caught cheating on the woman he called the love of his life, Valerie Trierweiler -- dragged down his approval ratings. Hollande won credit for his leadership throughout a series of terror attacks that have killed 239 people since 2015. Despite his dismal poll ratings that at one stage plunged to just four per cent, Hollande held out the hope that a late improvement in unemployment figures would justify a re-election bid. Hollande won the Socialist nomination for the presidency after then IMF chief Dominique Strauss-Kahn -- the hot favourite -- crashed out of the running after being arrested in New York on charges of sexual assault. The criminal charges were dropped after Strauss-Kahn's accuser was found to be an unreliable witness, but the man known as DSK was forced to quit the International Monetary Fund and abandon his presidential ambitions. Their stormy relationship ended after it emerged that he was enjoying trysts with actress Julie Gayet -- paparazzi famously photographed him arriving by motorbike at their Paris love nest.